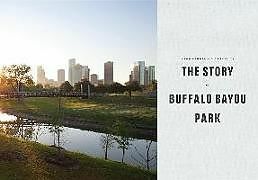 Great cities have been renewing themselves along their waterfronts for decades, and Houston's Buffalo Bayou is no exception. This historic waterway now serves as a place where visitors bike, hike, gather as a community, and appreciate nature. This book reveals more than 100 years of civic vision for Buffalo Bayou. The pages also feature spectacular photographs.